We’ve put together all the things that you need to know in order to make an impact with your online business. It sometimes seems like successful online businesses are so common that anyone can start one, but the truth is that everyone who has mastered doing business online has had to overcome multiple challenges in order to find a formula that works. This is true whether you are planning to start a consultancy, an online store, to be a blogger, vlogger, or influencer, or to take part in any other online commercial activity. It’s a hard life if you don’t know what you’re doing, and that’s why we’ve put together a list of things that every online entrepreneur needs to know in order to make waves amongst all that competition. Here are the first steps for any online businesses - we’ll explain each of these in turn, with successful online business stories as examples. This is something you always need to work out first, when coming up with what online business to start. It’s worth writing up a mission statement - a few lines explaining what you believe your business should be, and for whom - because this is how you can measure the eventual success or otherwise of your business, and how you can save yourself and your work from the disease of overreach (branching out into too many projects that don’t relate to your central mission). Make, whatever you stand for, loud and clear. This is what you want to make, or market, and sell to customers through your online business. While you of course need to innovate, and to make sure that you keep interesting your customer base with new variations on your product, it’s also true that whatever you make first needs to be right. For example, Amazon is now, along with AliExpress, one of the world’s most successful online stores. However, it began as a bookstore, disrupting (undercutting the competition) in that market by sending books direct to people’s doors, and saving money thanks to there being no need for physical premises. Success in the book world meant Amazon could expand, and now it sells everything from garden hoses to camping air-beds, and everything between. 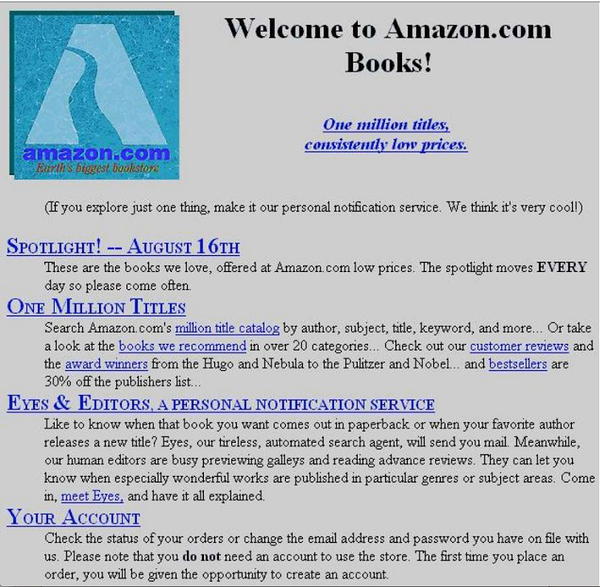 This is the first ever Amazon website. So first, go niche and secondly, the design of your website doesn't really matter. The point is, Amazon knew that to sell everything under the sun, they first had to make sure that their core product was sound, and so they established the easiest-to-use online bookstore, and then built up their offering in a sustainable way. People who want to be successful online business owners, like you do, with an online store or anything else, need to do the same. Lots of people decide on the name before anything else, but although this will be the first thing people read or hear about your company, ultimately the product is more important. Nonetheless, a catchy name is going to take you far if what you’re selling also adds up. Make sure you pick something that reflects your company’s mission, but also is unique. If other companies already have the name, it might make expansion difficult, and could lead to confusion. In addition, picking a name that nobody else has thought of will make it easier to find a website domain for your company. Why is the domain name so important? Your website is the window your company has to the world. If your company’s name is something, it makes logical sense that the domain would have the same word. It goes without saying that commonly-used words from the dictionary are most likely taken. Back in the early days of e-commerce, Amazon was able to use a name that came from a real-life word, and others, such as Slack, have followed suit, with Tesla, for example, taking a name from a historical figure, in their case a great inventor. Choosing a name that is present in the dictionary isn’t a bad thing to do, necessarily, but it does mean that you might not get an attractive price for the domain you wish to buy. Which domain suffix should you use? About that domain: still, to this day, the most valuable domains are those with the suffix .com; this is because casual internet users tend to be more trusting of such domain names, but also because it is the suffix they will assume you have, if they don’t run a search. 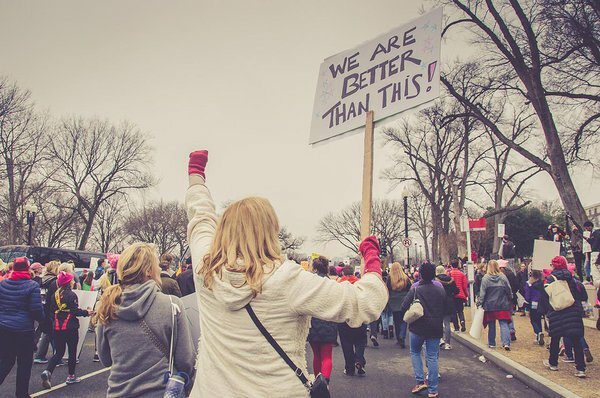 While other domain suffixes, for example .org, .net, and .info have their supporters, and .io is an incredibly expensive domain suffix at times, due to being the suffix of choice for tech startups, or at least those who don’t mind participating in alleged dubious human rights practices, .com is still the gold standard for businesses. Instead of going to Godaddy or Namecheap for a domain, try Zone. You might get yourself a cheaper deal. It is for this reason that our advice is to stick to a brand name that is either a subtle twist on a dictionary word, like Swype (the popular Android smartphone keyboard app), a compound of two words, like Jobbatical (the site that brings people opportunities to work internationally), or a totally new word, like Zazzle or Etsy. That way, you’re sure to be able to claim the trademarks and domain you want. This is an obvious point to make, but if you’re going to start on online business, it will require investment up-front in order to make it a success. Make sure your finances are stable, and that anything you invest is sustainable. It’s fine attracting outside investment, such as angel investors or venture capital funds, but if you do, make sure you sign a firm and binding agreement with the investor, otherwise you might find that the funding is not as lasting as you imagined. If this is your first time running a business, get advice from a bank before you do so, and ensure that you have consulted business experts. Successful online business ideas always begin from a place of financial understanding. This is where we come in. VOOG is the best way to build a website, and thanks to that fact, there are many successful online businesses stories that have come from using one of our templates and building up a strong online customer base. 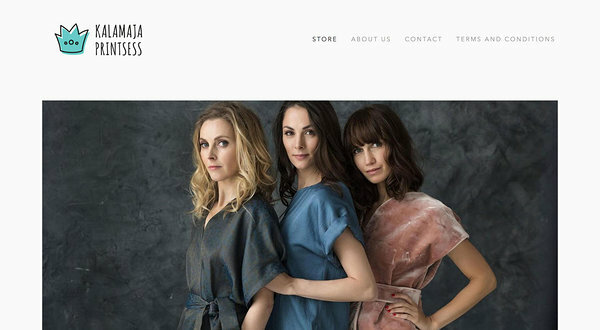 Kalamaja Printsess has brought their business successfully online with a very clean and easy website / online store. VOOG offers a website builder that is made with scalability and adaptability in mind. For example, it’s perfect for companies that want to have a fantastic multilingual website builder, thanks to the unique way it deals with the replication of pages: rather than asking you to make an entirely new page, and then manually add features, if you want a page in a second or third language, VOOG will copy the elements of that page, so that all that you have to do is add the translated content. This short video will give you a pretty good idea how building a website with Voog looks like. What’s more, our templates are built with business in mind. No more shoehorning your business into an unsuited online environment - VOOG gives you websites that will free up your time for more important matters, taking only 15 minutes to build in some cases. Whether you have an online store, a social media businesses, a consultancy, or you are an influencer, VOOG has you covered, with flexible and easy-to-use templates that will take you from start to success in the time it takes you to craft a successful online business model. Give our website builder a try for yourself, for free, and see what we mean. We think you’ll be impressed.